While gym employees are expected to observe the rules prohibiting males from entering the ladies room (and vice versa), we doubt too many people would have a huge problem with a male staffer entering that females-only area when a gym member has collapsed in one of the stalls and may need medical attention. But the parents of a Planet Fitness member who passed away last year allege that a male employee’s reluctance to assist their daughter resulted in her death at the age of 22. According to the NY Post, the incident occurred early one morning in Feb. 2012 at a Planet Fitness in Long Island. Witnesses say the young woman went into a bathroom stall and then collapsed a few minutes later. She says she then ran out to the front desk and asked the male employee there for help. The Post reports that it was more than four minutes from when the employee was alerted about the collapsed woman to when he called 9-1-1. It was another few minutes before a female employee arrived on the scene and finally checked on the woman in the stall. Police arrived on the scene shortly after being called, and the young woman was pronounced dead around 30 minutes later. Her family is suing Planet Fitness and the male employee for wrongful death. In addition to the alleged inaction of the worker, the parents claim that the gym did not have an automated external defibrillator on hand, or anyone certified to operate it, as required by law. 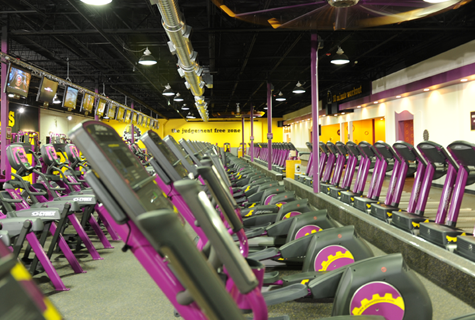 “The safety of our members is extremely important,” a rep for Planet Fitness tells the Post. Next Does It Matter If Your Steak Burrito Isn’t Locally Sourced If The Cow Was Raised Ethically? Next Up: Does It Matter If Your Steak Burrito Isn’t Locally Sourced If The Cow Was Raised Ethically?